« WITCHCRAFT – “IF CRIMSON WAS YOUR COLOUR” RARE, GREEN 45RPM – I’LL SHOW AND TELL! 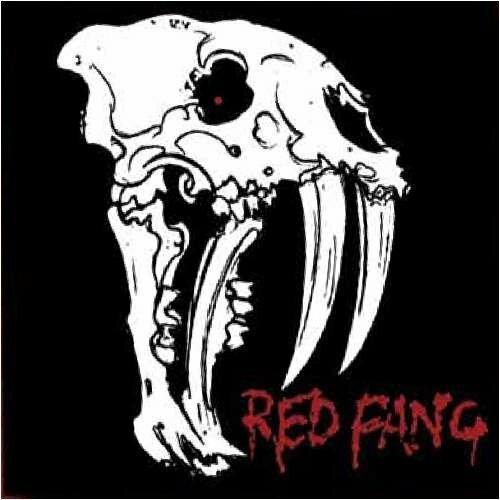 RED FANG – released their debut, self titled and full length studio album on March 31, 2009. Red Fang plays meat & potato’s Heavy Metal… they are for all Metal intents and purposes – Stoner Metal. It’s been essentially a year since this Red Fang album was released, amidst the ever growing and popular Stone Metal crowd of bands. Where Red Fang takes a different approach is in the grooves… instead of just laying down the heavy riffs and thunder thump rhythm, these songs really groove along very effectively. A solid example is Bird On Fire, if this song can’t make you move then something is terribly wrong. Red Fang is a giant riff party, with all the retro heaviness to go along with it. On Good To Die, the guitar leads jump out at me with the celebration of old school vibes. The tempo changes on this song gel together very well, a standout song that harkens back to the day when Hard Rock was transforming into Heavy Metal. Humans Remain Human Remains begins with a simple riff, this opens the door to the molasses thick rhythm section that embodies all the brooding beats I come to expect from quality Stoner Metal. The vocals never get lost in the background, nor do they ever fade off during any verses. What is admirable about the vocals on Red Fang is the lack of shouting or incoherentness. Red Fang seems to take the vocals just as seriously as the heavy music… both definitely compliment each other. When I first heard the opening track, Prehistoric Dog, the realization set in that Red Fang is serious about their Metal craft. Prehistoric Dog is one of the finest Metal songs I have heard, that would be considered recent. Sharks and Wings Of Fang are two songs that are really standout, with their fired up tempos and borderline punkness it’s a reminder as to what the Bon Scott era AC/DC had accomplished so damn well. Yes, the heavy is woven within the songs on Red Fang, still it is the attitude that gives these same songs the hard smack and personality, that comes across as original. Fans of High On Fire, The Sword, Saviours and early era (1970’s) Heavy Metal should grin and raise their fist to the air upon listening to Red Fang. The Metal word needs to get out about Red Fang… and this album needs to be played loud for your cranky neighbors to hear. Upon listening to the remainder of Red Fang, I realized this is a Heavy Stoner Band that won’t be flying under the Metal radar for too much longer. * Red Fang formed in 2005 and hail from the cool U.S. city of Portland, Oregon. * Red Fang did self-release an EP, in 2007 – Red Fang Tour EP 2, 5 songs are on it, four of which appear on their full length. Suicide is the only song from this EP, that does not show up on the debut full length album. The songs on the Red Fang EP are: Prehistoric Dog, Reverse Thunder, Night Destroyer, Suicide, Humans Remain Human Remains. It was this RED FANG album cover that caught my Metal attention at first. I gave it a very brief listen at my neighborhood fye, liked what I heard immediately and the rest is Metal history. This entry was posted on March 6, 2010 at 2:53 am and is filed under cool album covers, doom metal music, hard rock bands, hard rock music, Heavy Metal, heavy metal album covers, heavy metal albums, heavy metal bands, heavy metal music, heavy metal music 2009, heavy metal songs, metal music, metal music albums, metal odyssey, Music, rock music, scary album covers, stoner metal bands, stoner metal music with tags current heavy metal bands, current stoner metal bands, hard rock music, Heavy Metal, heavy metal album review, heavy metal albums 2009, heavy metal bands, heavy metal music, heavy metal music 2009, independent record labels, metal odyssey, Music, portland oregon metal bands, red fang, red fang album review, red fang debut album 2009, red fang heavy metal band, red fang stoner metal band, red fang tour ep 2, scary album covers, stoner metal albums, stoner metal bands, stoner metal music. You can follow any responses to this entry through the RSS 2.0 feed. You can leave a response, or trackback from your own site.